Submitted by admin on 24th Jul 2015, 11:28. 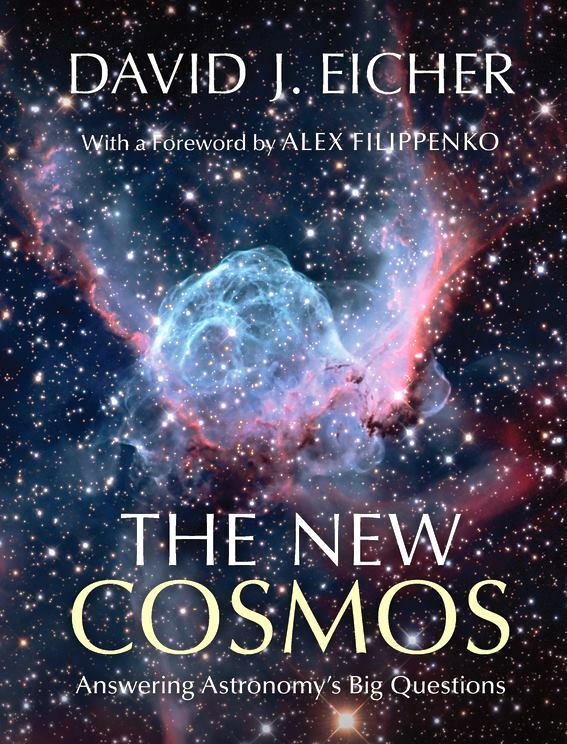 We are really pleased to announce the arrival of David Eicher's book The New Cosmos coming out in November. David is the editor in chief of the Astronomy magazine and has been associated with e-Rocks as both a buyer and seller almost since we started in 2006. Along with his day job and passion for Astrophysics he has also gained some notoriety as another type of rock star with his band, the Astronomy Blues Band. Judging by the photos on his Facebook page it wont be long before fellow Astronomer Brian May (ex Queen) will be asking to join! Another claim to fame for Dave recently was that the Astronomy Magazine Facebook page went through 1Million likes - that takes some doing. Here is some more information from David about his book, there is a link to its page on Amazon below. The product of my last few months writing, The New Cosmos: Answering Astronomy’s Big Questions, will be published this November by Cambridge University Press. It’ll consist of about 100,000 words and 100 color photos on hot developing topics in astrophysics, cosmology, and planetary science of the last 10 to 15 years, including . . .
How the Sun will die; the end of life on Earth; the history of water on Mars; why Venus turned inside-out; how the Moon formed; Pluto’s planetary status; the explosion of exoplanets; the Milky Way’s barred spiral structure; the eventual collision of Andromeda with the Milky Way; the latest on the Big Bang; the size of the universe; the mysteries of dark matter and dark energy; the nature of black holes; the fate of the universe; and the meaning of life in the cosmos. The book will feature a foreword by the noted astrophysicist Alex Filippenko.